This Chan Centre debut promises an engrossing evening of driving, syncopated sound and animated theatricality. 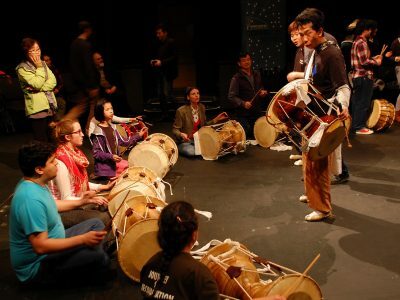 Hailing from South Korea, the kinetic ensemble of master drummers and dancers led by Kim Duk Soo presents a visually stunning cultural expression in the tradition of past Chan Centre favourites Çudamani and the Whirling Dervishes of Turkey. 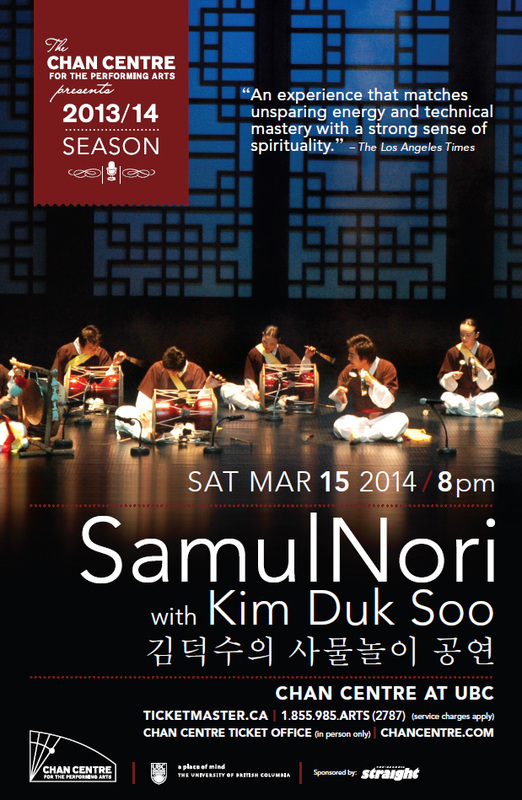 SamulNori’s unique style of percussion originated in farmers’ bands, a folk tradition central to Korean heritage. Over a remarkable 35 years, the ensemble has built upon this tradition, developing their individual sound into the powerful music and pageantry they share around the globe. A feast for the senses that should not be missed!